B&B Janitorial Services is a professional and affordable industrial and commercial office cleaning service in Los Angeles. We do more than just vacuum the floor. We provide complete and affordable building and office maintenance with our highly experienced staff, who will exceed your expectations. We understand the importance of providing a good impression when customers and clients walk in your door, which is why we work hard to ensure your offices are looking their best each and every time. We take great pride in helping you maintain a clean and professional environment to improve the look of your facility. With our affordable office cleaning service, we work to guarantee that you’re satisfied with the results of our hard work. Plus, we will deliver our unmatched professional cleaning with the integrity you deserve. For maximum satisfaction, we use the best cleaning products and chemicals to ensure a spotless shine, every time. Supported by years of experience, our cleaning staff knows the exact products to use to maintain the cleanliness of your office and building, even when handling the most difficult of tasks. We won’t just clean. We will remove trash, disinfect, and cater to special projects to leave your offices sparkling. From vacuuming and dusting to blind cleaning and hardwood floor cleaning, we make it our mission to get the job done right the first time. With competitive rates, our affordable building and office cleaning service will provide you with the utmost service, without charging you an outrageous price. And, with our worry-free approach, you can rest assured your company is in good hands as we take every security and safety measure possible to protect your company while we work. You’re in good hands with B&B Janitorial Services with our longstanding proven track record of success and positive reputation. Day or night, we are here to help you with your cleaning needs, while answering your questions and earning your trust to provide you with the cleaning service you deserve. Let us handle the dirty work so you can spend more time focusing on what matters most. 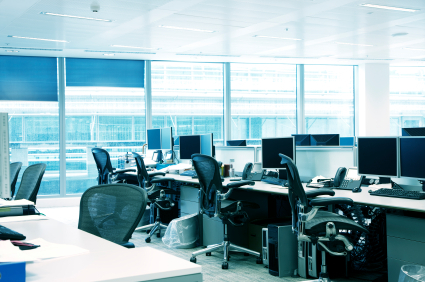 Call B&B Janitorial Services today for complete commercial office cleaning in Los Angeles.